Now only From RM 89! Browse the internet on your couch. Watch videos in the kitchen. Do everything online, anywhere in your house. MaxisONE Home guarantees the best WiFi experience – from a reliable end-to-end WiFi setup by Maxperts to high-speed fibre internet access in every corner of your home. On top of that, you’ll also get to enjoy unlimited access to iflix, unlimited calls and so much more! What are the speeds available for the new MaxisONE Home Fibre plans? Broadband access with download speeds of 30Mbps and 100Mbps will be available. Who is eligible to sign up for the new MaxisONE Home Fibre plans? The new MaxisONE Home Fibre plans are available to anyone from all income groups whose homes are located within our coverage. What comes with the MaxisONE Home Fibre plans? The new plans for MaxisONE Home Fibre comes with unlimited Internet and a FREE router worth RM376. Unlimited voice service will be available for 100Mbps rate plan, and optional add on at only +RM10/mth for 30Mbps rate plan. When can I sign up for the new MaxisONE Home Fibre plans? If you are interested, pre-registration for the new package plans will begin from 20 Aug 2018 at www.maxis.com.my/fibrenation and you will be contacted by Maxis. Alternatively, you may sign up for the new MaxisONE Home Fibre plans from 13 Sept 2018 onwards. Where can I sign up for the new MaxisONE Home Fibre plans? From 13 Sept 2018, you may sign up for the new MaxisONE Home Fibre plans at all Maxis sales channels including Maxis Centres, Maxis Exclusive Partners and authorized resellers, on the Maxis official website (www.maxis.com.my/fibre), and you can also call Maxis at 1-800-82-1123 or 123 from any Maxis mobile line. Do the new MaxisONE Home Fibre plans come with a fixed line? The the new 100Mbps plan comes with Unlimited Voice and a FREE home phone. For the new 30Mbps plan, you have an option to add Unlimited Voice at RM10 per month, which also comes with a FREE home phone. Or you may plug in your own telephone and make calls at standard rates of RM0.09/minute for calls to local mobile and fixed line numbers. Standard rates for international and special numbers will apply. What should I expect to see in my bill if I change my current plan to a new plan ? The subscription fees for both your current and upgraded plans will be prorated. Your bill will also include other applicable charges, such as for calls (if any). I live in a high-rise building. Can I subscribe to the new plans as well? Yes, you can subscribe to the new plans, but the broadband speeds available will depend on the building’s infrastructure. Will there be any contract tied to the new plans? If yes, will a penalty fee be imposed if I decide to terminate my subscription within the contract period? Yes, anyone who subscribes to the new plans will be contracted for 24 months. If the customer decides to terminate this subscription before the end of the contract period, a penalty fee of RM500 will be imposed. Would Maxis eventually be offering higher download speeds of 300Mbps/500Mbps/800Mbps? Yes, Maxis will offer higher speeds when the infrastructure is ready, and these will be made available to all customers (both in and out of contract). Please stay tuned for the latest updates. I am an existing MaxisONE Home Fibre customer and within contract, am I eligible to sign up the new plans? All existing MaxisONE Home Fibre customers within contract or out of contract are eligible to change to their choice of a new plan with new contract of 24 months. As an existing customer, how do I enjoy the new MaxisONE Home Fibre plans? All existing subscribers who are interested in changing their plans can opt in by filling up their details in the form at www.maxis.com.my/fibrenation. You will be contacted by Maxis from 13 Sept 2018 onwards. When will I be able to enjoy the new plan? Once you have pre-registered via our web form, we will contact you to schedule an appointment to upgrade your router from 13 Sept 2018 onwards. Will I be eligible for a new router? For customers who opt in to the new plans and are currently not using the latest router, we will contact you to fix an appointment to upgrade your router during your plan upgrade. I have member-get-member rebates on my Fibre subscription. Can I still enjoy this after my upgrade? Yes, your member-get member rebates will continue for their remaining period. I am an existing subscriber of MaxisONE Home Fibre which comes with iFlix, Unlimited Voice and RM40 monthly discount on Year End Sales promo. Will I still have this service/promo discount when I change to the new plan? The new plans will not come with any earlier package promo discounts and services. You will not enjoy the complimentary iFlix VIP Access and Unlimited Voice will be charged as an add-on at RM10 per month. I’m entitled for complimentary iflix in my existing MaxisONE Home Fibre account. Will my iflix remain active when I change to the new plans? The complimentary iflix VIP Access is not included in the new plan, so you will not enjoy complimentary iflix after changing to the new plan, an RM10 monthly subscription of iflix VIP Access will be reflected in your bill. How do I stop the iflix subscription and avoid being charged upon upgrading to the new plans? The easy way to manage your iflix subscription is via the iflix app. Just go to Menu, select Account, then select My Plan and then select Cancel Recurring. Alternatively, you can call us for assistance. If there’s a problem with my iFlix, how do I resolve it? For iflix account queries and related issues, just to go to https://piay.iflix.com/contact and lodge a support request. If your iflix subscription is charged to your Maxis bill, for any billing related enquiry, please give us a call. Can I continue to use the Voice service if I do not subscribe to the Unlimited Voice service? Yes, you can and you will be charged on a pay-as-you-use basis at standard rates of RM0.09/minute for calls to local mobile and fixed line numbers. Standard rates international and special numbers will apply. Can I maintain the same VOIP number when I upgrade to the new plan? Yes, your current VOIP number will be maintained. What are the rates for fixed line calls on the new MaxisONE Home Fibre plans? Do the plans come with a free phone? The new 100Mbps plan comes with Unlimited Voice. Under the new 30Mbps plan, customers may opt to either pay per use or add on Unlimited Voice at RM10 per month. For 30Mbps plan subscribers who prefer to pay per use, calls to local mobile and fixed line numbers will be charged at RM0.09/minute. For both 30Mbps and 100Mbps plans, standard rates apply for all calls to international and special numbers. To use their fixed voice line on the new plans, existing customers may use the home phone that was provided with their current MaxisONE Home Fibre plan, or plug in their own telephone of choice. I’m an existing fibre customer with another fibre broadband provider. How do I sign up for MaxisONE Home Fibre plans? Kindly contact our customer service hotline, and we will be happy to assist you on this. Will there be any contract tied to these plans? If yes, will there be any penalty fee imposed if I decide to terminate within the contract period? Yes, anyone who subscribes to the new plans will be contracted for 24 months. If the customer decides to terminate the subscription before the end of the contract period, a penalty fee of RM500 will be imposed. I have submitted my upgrade request (after 20 August), what’s next? You will receive a call from the Maxis team from 4 September 2018 onwards to confirm your new home fibre plan and to make an appointment to upgrade your router, if required. If your router requires an upgrade, you will receive an SMS with appointment details on the same day we contact you. 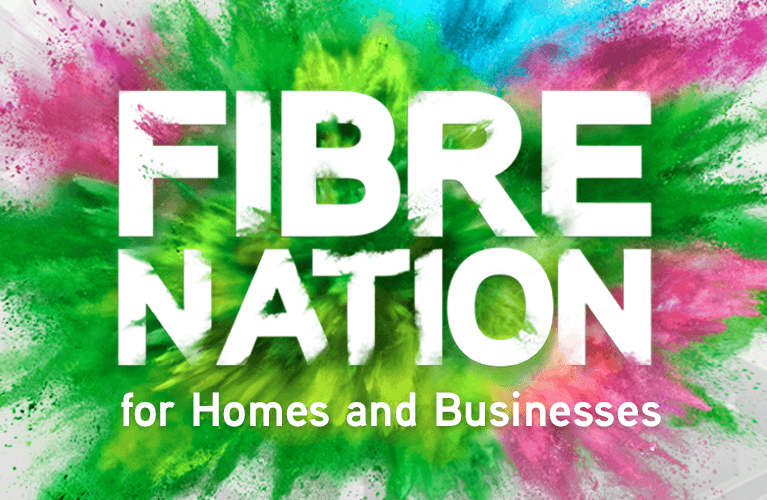 We will change your subscribed plan to your selected new home fibre plan from 13 September 2018 onwards. You will receive email and SMS notifications upon your plan change. When and how will the installation date be set up? Our team will call you within 48 hours of your registration to set the date for installation. You can find out more information here. Can I chose my own installation date? Our team will call within 48 hours of your registration and you may choose your preferred date and time base on our available slots. What do I need to prepare prior installation? Please get ready three (3) power outlets and some cash as charges may apply for cabling depending on your requirement. If I need to change and reschedule my installation, who should I call? To reschedule, email us at maxisfibre@maxis.com.my; do contact us four (4) days prior to your installation date to avoid any late cancellation or reschedule charges. Should I need to reschedule my installation appointment, will there be any penalty imposed? There will be a charge of RM 200.00 if you reschedule or cancel your appointment within 3 days of your previously set appointment. Do I need to be present on the day of installation? Can I appoint someone else at home? Please be at home personally for any decision required for cabling, placement of equipment, payment for cabling (if any) and also to acknowledge the completion of installation. Is there any cost involved in the installation? Standard installation is free of charge; however, if you require non-standard installation such as hidden cabling, charges will apply. You will liaise directly with the contractor on your requirement and charges. The standard installation covers the first 100 metres (outside your home) from the nearest Fibre Distribution Panel to the modem (inside your home). The installation provided is of standard specifications (over wall with clip). Cost for any non-standard type of installations, such as over the ceiling, underground ducts, concealed wiring, and so on if required will be borne by you. How soon will my MaxisONE Home Fibre been installed? Our team will call you within 48 hours of your registration to set the date for installation; and your installation should be done within 14 working days from your registration date. Will you give me details of my installer? We are unable to give the installers' details; the installer assigned will call you 1 hour prior to your installation. Who will attend to my installation appointment? At least one Maxis installer will be involved. Depending on the infrastructure, in some areas two installers will be at your premise to complete the installation. Will there be any reminder prior to my installation? Yes, you will receive a call 4 days before the installation and a reminder via SMS 1 day prior to the installation. On the installation day, our installer will call contact you an hour before the installation. Whom should I refer to if the installation did not happen as scheduled? You may email us at maxisfibre@maxis.com.my to check on your installation; we will respond to your email within 24 working hours. Standard installation will be completed within 4 hours. Sometimes it may take more time due to non-standard installation or other complications. Advice you on the standard procedure of the installation. Perform device setup and Wi-Fi optimization at your premise. Get your consent if any additional cabling or non-standard installation is required. A troubleshooting tip sticker will be given to you stuck on your router. How many pieces of equipment will I be given in the installation? 3) Cordless DECT phone (if applicable). The warranty periods are: life-long warranty for modem and 1-year warranty for router and cordless DECT phone. If I want to set up my own network behind the Maxis router can Maxis installer help me with the configuration? The scope of work of Maxis installer includes standard cabling/wiring and configuration of the modem and router provided by Maxis only. Will there be any drilling involved during the installation? Potentially, there may be drilling to connect the high speed Internet service to your house. Maxis installer will ask you for your consent for the connection design and drilling. My premise is a 3-storey house and I would like to install the service on the 3rd floor. Is it possible? The service can be installed wherever you prefer, just inform the installer of your desired location upon his arrival and he will provide you with a sketch design for your approval. He will also discuss with you on the charge for non-standard installation (such as hidden cabling) if required. What can I expect when the installation is completed? Once the installation is completed, you are required to sign the Work Completion Form. You are advised not to remove or relocate the modem after the setup as the Wi-Fi coverage is already optimized. After installation, you may receive a SMS survey on the recent installation done at your premise. You: Person(s) signing up for the Product. Capitalised terms herein have the same meaning as defined in the GTC. Any conflict or inconsistency between this SSTC, the GTC and Summary Terms and Conditions (“STC”), shall be construed in the following order of precedence: (a) SSTC; (b) GTC; and (c) STC. We reserve the rights without liability, to revise this SSTC, Product and our pricing. Where reasonably practicable, we will give you reasonable advance notice of such changes and all previous versions of our user guides or leaflets will be superseded. You accept you are responsible for regularly reviewing information on the Product, plan(s) and Service(s) at www.maxis.com.my/tnc/personal), including changes to the Agreement. Your continued use of the Service(s), Product and/or plan(s) (after the Effective Date of any revision/change to the terms and conditions of Agreement, Services and/or plan(s)) shall constitute unconditional acceptance by you of such revisions/changes and you shall be bound by the same. If you do not accept such revisions/changes, you will terminate the plan(s) and/or the use of the Services by giving us notice within 28 days from the Effective Date failing which you are assumed to have accepted the changes. The Product & Service(s) is only available in certain coverage areas. Call 123 (from your mobile),1800 82 1123 or log onto www.maxis.com.my/fibre to check if you are within the coverage area. We will endeavour to call you within 7 days of your application for the Product & Service(s) to inform you of acceptance or rejection of your application. Provision of the Product & Service(s) is at our sole discretion. You are ineligible for the Product & Service(s) if you have any outstanding payments with us. This Product & Service is inapplicable to you if you are a commercial user and/or bulk subscriber. The provision of Service(s) is contingent on your Premises being-fibre ready and having a termination point within the Premises. The applicable Charges and rate table guide for the Product & Service(s) is as set out on our official website at www.maxis.com.my/fibre. Charges displayed do not include all applicable taxes and GST. The Service(s) commences on the date of successful onsite installation of the Equipment at your premises or such other date as stated in the Registration Form or as approved by us in writing and is for a minimum contract period of 24 months. A RM500 termination charge applies where you terminate the Service(s) before the end of the 24 months. After the 24 months, the Service continues until terminated in accordance with this SSTC. A deposit of RM500 is chargeable for non-Malaysians subscribing for the Service(s). You may receive a bill for each Service subscribed for in the package (up to 2 bills). Non-payment for any one of the Service package may result in suspension or barring of all the Services until the outstanding amount is paid. You will receive a call from us within 5 days upon registration confirming your installation appointment date and time. You must inform us 3 days prior to the appointment date for any rescheduling or cancellation of the installation. We reserve the rights to charge you RM200 for any late rescheduling or cancellation request. You consent for us and/or our agents gaining access to your Premises, with prior notice to you, to place our Equipment and install the Service(s).Installation will be at the address you provide us. Installation of the Service(s) will take approximately 6-7 hours and you must agree to the drilling area before we begin installation. You must be present during installation or designate a person aged 18 or above to be present on your behalf for installation of the Service(s), failing which we will not proceed with the installation. Standard installation, covers the first 85 metres (outside your home) from the nearest fibre distribution panel to the termination box and the first 15 metres (inside your home) from the termination box to the access termination box. If the length required at your Premises exceeds the said allocated amount, you will have to bear any extra charges. The installation provided is of standard specifications (over wall with clip or cable casing only). Costs for non-standard installations, such as over the ceiling, underground ducts, concealed wiring, etc. will be borne by you. If you are relocating, you must provide us prior notice of your relocation. Any relocation will be subject to the Service(s) coverage area and a recontracting of your fibre plans will be enforced. We may terminate the Service(s) with notice to you if the Service(s) cannot be provided at your relocated Premises. In the event that you are not ready for installation upon our visit to your Premises, installation of Service(s) will be differed. You will resolve any issue (being the cost of the deferment) and reschedule a new installation date within 21 days from the cancelled date. Failure to re-schedule an appointment date will result in your application being terminated, and you will be charged accordingly. You will need to purchase your own Digital Enhanced Cordless Telecommunication Phone (DECT) phone for your use and you agree to accept the phone number assigned to you before we activate the Service. You are responsible, at all times, for the safety of Our Equipment in your Premises. Upon termination of the Service(s), Our Equipment must be returned in good condition, failing which you may be charged for any loss or damage. The modem/ONT (Optical Network Terminal)/ BTU provided to you remains Maxis’ property. Upon termination of the Service(s), you must return to us the complete ONT / BTU in good working condition. If you do not return the ONT/ BTU or if you return the ONT/BTU but it is not in good working condition, you will be charged a fee of RM530 or such other charge as may be notified to you by Maxis from time to time. The Residential WiFi Modem belongs to you and has a warranty that is reflective of your MaxisOne Home Broadband contract. Please visit your nearest Maxis Centre should you have any issues with the modem. Please call 1800 82 1123 or 123 from your Maxis Mobile Phone for assistance on technical issues. Our Maxperts installation team may suggest and upsell to you devices which may improve the Service connectivity in your home. These devices are either charged as a one-time fee OR as a monthly instalment plan. Once you have agreed to purchase these devices, it is considered sold and no refunds are allowed. You will be tied to a commitment period for devices with a monthly instalment plan. The commitment period shall be for a period of 24 or 12 months, depending on the plan, Product & Services you subscribed to. You acknowledge, if any of the events in clause 28 above occurs, you shall pay us the device remaining balance charge as stipulated in clause 31 below. Payment of the device remaining balance charge is without prejudice to collection of all monies owing to us by you in accordance with your account up to the time of early termination. You will be responsible for all outstanding amounts which will be due and payable by you to us immediately on the date of your billing cycle. All outstanding amounts due and owing to us shall be subject to GST. If you suspend your Maxis Fibre Internet Service during the commitment period, the device monthly instalment fee will continue to be charged to you. You agree we have the right to impose a device remaining balance charge, which you shall be responsible to pay if you decide to terminate before expiry of the commitment period. The device remaining balance charge is calculated as follows: [Monthly instalment fee x Remaining month(s)]. Should you request for a relocation of the Maxis Fibre Internet Service during your commitment period, you agree we have the right to impose the device remaining balance charge, as per clause 32, as we treat a relocation of Service as a termination of Service. We will not be responsible to replace the device or any part thereof that is lost, stolen, damaged, or defective. You shall be responsible for the repair and maintenance of your device. You agree that repairs, defects, and/or faults shall be subject to the applicable warranty issued by the device manufacturer, if any. You accept and acknowledge that we shall not be responsible and/or liable for any devices and/or for any loss and/or damage whatsoever suffered by you and/or any other party. You must ensure that all and any personal and confidential data/information has been cleared from the device. You must ensure your device is free from physical damage, except for fair or light wear and tear (for example, it does not have liquid damage, a physical cracks or any intentional damage). You must ensure your device comes with its full set, for any warranty claim, together with proof of purchase of the device. You must ensure that your device does not have any missing, disassembled, customised, or non-original parts. You agree that we have the discretion to decide whether a device can be accepted, accepted at an additional charge or not accepted at all by us. You agree that our decision is final and that we will not entertain any queries or appeals. Speed of the Maxis Fibre Internet Service is on a best efforts basis. We reserve the rights to manage your speed should you exceed the stipulated data volume quota. The Service(s) is offered as a package (which includes voice (VOIP) services). Suspension, barring or termination of a particular Service from the package will cause the other Service(s) in the package to be suspended, barred or terminated (as the case may be) as well. Voice (VOIP) services will be on a pay-per-use basis unless stipulated otherwise in the respective MaxisOne Home broadband plan(s) offered. unlimited calls do not include: multiple simultaneous calls, conference calls (unless you are subscribed to the conference call service with Maxis), re-supply, call centre usage, telemarketing, application-to-person communication, continuous call forwarding, auto-dialing, machine-to-machine communication, or any other activity we consider to be non-standard usage. If you subscribe to a plan with pay-as-you-use call package, you will be charged the prevailing rates. For information on prevailing rates, kindly log on to www.maxis.com.my/fibre. All value added services offered with relevant plans or packages will be available to you as long as you subscribe to the MaxisOne Home broadband service. If you are within contract, you may upgrade your plan anytime. A penalty of RM500 will be charged if you downgrade your plan. If you are out of contract, you may upgrade your plan or downgrade your plan. If you upgrade or downgrade your plan, you agree that you will enter into a new contract with Maxis for a minimum duration of 24 months or such other duration as may be determined by Maxis. If you upgrade your plan to any new promotional plan, regardless of whether or not you are within contract or out of contract, you agree that you will enter into a new contract with Maxis for such duration as may be determined by Maxis. We reserve the rights to introduce and deliver new Service(s) over a shared infrastructure. You may subscribe to such new or additional Service(s) by way of a request to us and the relevant Service(s) terms and conditions shall be deemed accepted by you upon your acceptance and/or usage of such new and/or additional Service(s). This applies to Service(s) we may provide as a package to you. To discontinue the Maxis Fibre Internet Service, you must go to any Maxis Centre. For any planned interruption of Service(s), adequate notice will be provided via a valid mobile number and/or any other mode of communication as we may deem appropriate. Maxis offers a 30-day return policy for any MaxisONE Home subscriber. The return policy has to be initiated by you within 30 days of the installation date. If Maxis fails to meet the Service Level (SL) described in this document, you will be able to exercise the return policy. Definition: A complete loss of connectivity resulting in no internet traffic. SL: Where the total loss of service in a 30-day period is more than 7 hours following the completion of all your relevant premises diagnostics to Maxis’ satisfaction. Definition: A loss of service that has periods of failure during periods of normal operation. SL: Where the total cumulative periods of loss of service in a 30-day period is greater than 7 hours, or where the total number of disconnections is greater than 10 in a day for 2 consecutive days following the completion of all your relevant premises diagnostics. Definition: The throughput speed of the service is less than 40% of the speed subscribed. SL: Where the throughput drops below the specific speeds for greater than 7 hours, following the completion of all your relevant premises diagnostics. Any outage and/or loss or failure of service resulting from Force Majeure. In addition to these Service Levels terms and conditions, you will be subject to the General Terms & Conditions, MaxisONE Home broadband Service Specific Terms and Conditions, and any other relevant terms and conditions as set out on our official website at www.maxis.com.my/tnc/personal. You are allowed a free iFlix subscription while you are subscribed to a MaxisONE Home 30Mbps package or above (the “iFlix Promotion”). To redeem your free iFlix subscription, please go to www.maxis.com.my/tvnow or www.iFlix.com. To redeem the iFlix subscription, you must create an account while connected to your Maxis FTTH connection. This iFlix Promotion is limited to the promotional period only as determined by Maxis (the “Promotional Period”). Maxis reserves the right to end the iFlix Promotion at any time without any prior notice given. Maxis will not be liable for any disruption, delay, or downtime which may occur while accessing the iFlix service. Maxis is not responsible for any content accessible on or through the iFlix service. Maxis shall not be liable for any inaccuracy, error, omission, interruption, timeliness, completeness, deletion, defect, failure of performance, computer virus, communication line failure, alteration of, or use of any content herein, regardless of cause, for any damages resulting there from. You agree that iFlix may have additional terms and conditions that govern the use of the iFlix service. You agree that the free iFlix subscription is provided “as is” without warranty of any kind, either express or implied, including without limitation warranties of merchantability, fitness for a particular purpose, and non-infringement. Should you opt-out of the MaxisONE Home package plan, you will be charged accordingly based on the new package they are on. Current iFlix charges for any legacy and 10Mbps package is RM10 per month. For MaxisONE Home packages, iFlix access is complimentary during this promotional period. Customers with iFlix vouchers are entitled to a 12 months free subscription to iFlix. Once the 12 months have elapsed, and provided that the iFlix Promotion is still applicable, the customer will receive a pop-up screen notification to notify that the customer will continue to receive the free subscription to iFlix during the Promotional Period. MaxisONE Home customers who relocate will still continue to enjoy access to iFlix under the iFlix Promotion. For MaxisONE Home customers who perform a transfer of ownership, the new owner would need to re-subscribe to iFlix as a new customer. The previous owner’s iFlix subscription will be de-activated at the end of their existing charge cycle. The new MaxisONE Home Fibre packages will be offered at download speeds of 30Mbps and 100Mbps to eligible MaxisONE Home Fibre customers who subscribe for the aforementioned packages subject to the following terms and conditions. All new sign ups to these packages will be contracted for 24 months. The packages shall be available for pre-registration from 20th August 2018 onwards at Maxis official website (www.maxis.com.my/fibrenation). Pre-registration is open for all new and existing MaxisONE Home subscribers to opt in their interest at Maxis official website (www.maxis.com.my/fibrenation). Official roll out and activation is anticipated to take place on 13th September 2018. Pre-registered customers will be contacted from 13th September 2018 onwards for appointment making. Effective from 13th September 2018, new packages will be officially available for registration at all Maxis sales channels including Maxis Centers, Maxis Exclusive Partners, on the Maxis official website (www.maxis.com.my/fibre), all authorized resellers and via call-in at our hotline. Legacy customers are also able to opt in to the MaxisONE Home Fibre packages with a new 24 months contract. Benefits and add-ons provided in the legacy package(s) will not be brought over to MaxisONE Home Fibre packages. Customers of competitors who are interested to sign up to our MaxisONE Home Fibre packages are advised to contact us for further assistance. Maxis reserves the right to withdraw, cancel, suspend, extend or terminate any the offering earlier either in whole or in part and further reserves the right to vary, supplement, delete, amend or modify any of these terms and conditions from time to time without prior notice for the campaign. Your business matters to us! That is why with Maxis Zero Downtime Business Fibre, you will experience the best internet connectivity with maximum speeds of up to 100Mbps with no service interruption and downtime. From moderate web browsing, file transfers, and web conferences to server hosting and other advanced internet needs, we have the right plan for your business. What’s more, we provide a wireless backup connection to ensure your business never stops. How do I sign up for the new plans? You can pre-register for the new business fibre plans now and we will contact you from 13th Sept onwards to schedule the installation. What if I need to install the fibre for my business earlier? You can sign up today for 32Mbps @ RM258 or 100Mbps @ RM398. We will pro-rate the first month charges from today up to 13th Sept 2018. The installation will be scheduled after we complete your registration. Then we will switch you to either 30Mbps @ RM99 or 100Mbps @ RM129 on 13th September onwards. I am an existing customer on Maxis Business Fibre. Are you going to change or upgrade my plans? If you want to change to either the new 30Mbps plan @RM99 or 100Mbps @ RM139, please call us to find out more. When will I be able to get the new MaxisONE Business Fibre installed? A customer service representative will contact you from 13th Sept 2018 onwards to schedule an installation date. What would be included in ‘Unlimited Domestic Voice Calls’? Unlimited domestic voice calls includes calls to mobile lines (all operators) and fixed lines (all operators). Calls to 1700 and 1300 numbers are not included. How do I know if my building is eligible for 100Mbps? 1.1 The Service(s): Business Fibre Internet. 1.2 You: Business Customer signing up for the Service(s). 1.4 Capitalised terms herein have the same meaning as defined in the GTC. 1.5 Any conflict or inconsistency between this SSTC, the GTC and the STC, shall be construed in the following order of precedence: (a) SSTC; (b) GTC; and (c) STC. 2.1.1 “Maxis Maxpert” means Maxis certified and trained technical Personnel. 2.1.2 “Service Commencement Date” means the date on which Maxis notifies you that the Service(s) is ready for use and accepted by you. 2.1.3 “Site(s)” means the premise(s) designated by you under “Installation Address”, including the building(s) where the premise(s) is located, under or through which Our Equipment is to be placed for the provisioning of the Service(s). 2.1.4 “Term” means the period of twenty four (24) months commencing from the Service Commencement Date. 3.1 Upon receiving your application for the Service(s), within seven (7) working days, Maxis will review your application and inform you of the status of your application. 3.2 Upon acceptance of your application, within fifteen (15) working days, Maxis will install and activate the Service(s). 3.3 You are to give Maxis five (5) days’ advance notice for any rescheduling or cancellation of appointed date and time of installation agreed initially between you and Maxis. Maxis reserves the right to charge you RM200.00 for any late notification of the rescheduling or cancellation of the appointed installation date. 3.4 The Service(s) is an internet connection service running on a best-effort basis that is provided without any service level assurance. Fair Usage Policy shall apply. 3.5 Maxis does not guarantee or warrant the availability of the Service(s) or continuous, uninterrupted or secure access to the internet. 3.6 You shall be solely responsible for keeping an independent back-up of all data stored in the space allocated to you and for the data retrieved, stored or transmitted through the Service(s). 3.7 If there is an existing Broadband Termination Unit (“BTU”) installed at the Site(s), then the Service(s) will be installed and configured to the existing BTU. 3.8 The Residential Gateway Modem (“RGW”) that has been provided to you can only support up to 10,000 open sessions and is not available to replace the dedicated internet access line. 3.9 On the day of installation, Maxis Maxpert will be there to assist and provide advice on how to configure the setup for the Service(s). 4.1 Upon acceptance of your application, you shall pay Maxis for the registration of the Service(s): (a) a deposit, which is one (1) month’s monthly recurring charge/access fee as per the offer made to you by Maxis and (b) advance payment of either one (1) month’s monthly recurring charges (for monthly billing) or three (3) month’s monthly recurring charges (for quarterly billing) as the case may be. 4.2 Upon activation of the Service(s) or Service Commencement Date and as stated in your 1st month’s statement, you are to pay Maxis, after deduction of the advance payment made: (a) a one-time installation charge of RM200.00 and (b) one (1) month’s monthly recurring charges (for monthly billing) or three (3) month’s monthly recurring charges (for quarterly bill) as the case may be. 4.3 The one-time installation charge includes external cables from the entrance up to the internal wiring for the first 15 meters for cables only. Any additional fibre/ethernet cable exceeding the first 15 meters shall be borne by you and this installation is categorised as non-standard installation. 4.4 For the above non-standard installation and other non-standard installations such as wiring above ceiling, underground and concealed wiring including cabling from building telecommunication room to your Site(s)(“Additional Services”), you may appoint your own contractor or deal directly with the appointed contractor/installer. The charges for the Additional Services shall be borne by you and payment will be made directly to the contractor/installer by you. 5.1.1 The Wireless Backup is only valid for a subscription of Business Fibre Dynamic IP package. 5.1.2 While waiting for the Service(s) to be restored, you will be automatically connected to temporary internet through the RGW via Wireless Backup. 5.1.3 Other services such as Maxis Business Ethernet, Virtual Private Network and other value added services will not be working whenever the Service(s) are down. The Wireless Backup is only meant to provide an internet browsing experience. 5.1.4 You are strictly not allowed to remove the Maxis Equipment (including any SIM) from the RGW without Maxis’ written permission. In the event that the Maxis Equipment (including any SIM) is lost or broken, you will be charged accordingly for the replacement and delivery of Maxis Equipment. The charge will appear in the next monthly bill. 5.1.5 You are not allowed to downgrade during the minimum contract subscription period. 5.1.6 In the event the 3G signal coverage is low at your Site(s), Maxis will not provide the Maxis Equipment but instead Maxis will give a monthly rebate of RM10 to you. 5.1.7 The Service(s) with Wireless Backup is offered as a bundle package. Suspension or barring or termination of the Service(s) will also cause Wireless Backup to be suspended or barred or terminated at the same time. 5.2.1 The BVE Unlimited talk time applies to domestic mobile/fixed on-net & off-net usage for BVE calls (excluding video calls, calls to special numbers, and calls to 1-300/1-700/1-600 numbers). 5.2.2 The BVE Unlimited talk time is for standard/normal person-to-person calls. It is meant for you to talk to another person. It is not meant for multiple simultaneous calling, re-supply, call centre usage, telemarketing, application-to-person communication, continuously call forwarding, auto-dialling, machine-to-machine communication or any other activity that Maxis considers to be non-standard usage. 5.2.3 The BVE Unlimited is provided at no cost to you if you are a MaxisONE Business Customer & FlexiShare Customer. 5.2.4 A charge of RM10.00 per month will be charged for non-MaxisONE Business Customers & non-FlexiShare Customers. 5.2.5 The Service(s) with BVE Unlimited is offered as a bundle package. Suspension or barring or termination of the Service(s) will also cause BVE Unlimited to be suspended or barred or terminated at the same time. 6.1 The minimum period of subscription for the Service(s) is twenty four (24) months unless otherwise agreed between you and Maxis. 6.2 Maxis may terminate this Agreement and/or the Service(s) for convenience by giving you thirty (30) days advance written notice. 6.3 If you relocate or upgrade the Service(s) during the Term, you are not liable to pay for the remainder of the monthly recurring charges for the Term, provided you terminate this Agreement and enter into a new Agreement with Maxis for the Service(s) at the new location or for the upgraded Service(s).The new Agreement between you and Maxis will be for 24 months based on the prevailing Charges and further terms and conditions imposed by Maxis. 6.4 If you relocate the Service(s) to a non-Service(s) coverage area, this Agreement will be terminated and you are to pay Maxis the monthly recurring charges for the whole months remaining for the Term. 6.5 This Agreement shall automatically continue for an extended term as the existing Term at the prevailing charges and rates imposed by Maxis and on the terms and conditions contained herein (unless otherwise notified by Maxis) unless you give Maxis thirty (30) days advance written notice of your intention to terminate this Agreement before expiry of the Term. 7.1 You warrant that: (a) you have the power to enter into and observe its obligations under this Agreement, (b) you are the owner of specifications, designs and/or the materials supplied to Maxis to enable Maxis to provide the Service(s) and (c) you have not relied on any representations made by Maxis or upon any descriptions or illustrations or specifications contained in any document including any catalogues or publicity materials supplied by Maxis. 7.2 Subject to clause 18.5 of the GTC, Maxis’ liability shall be limited to the lesser of: (a) the fees paid to Maxis by you over the twelve (12) months period prior to the date of the breach; or (b) RM500.00.